...and I'm trying to understand why I can't have 9+ lives without this strange symbol showing up instead of a "1". My question is: what does this do and can paint a 1 over it without messing up the game? It has to be graphics. Are you aware that even unhacked SMB can't display more than 9 lives properly? It is a very well-known bug. People tend to call the strange symbol a "crown". I'm sure I've seen a detailed explanation of exactly why this happens, but can't seem to find it at the moment. 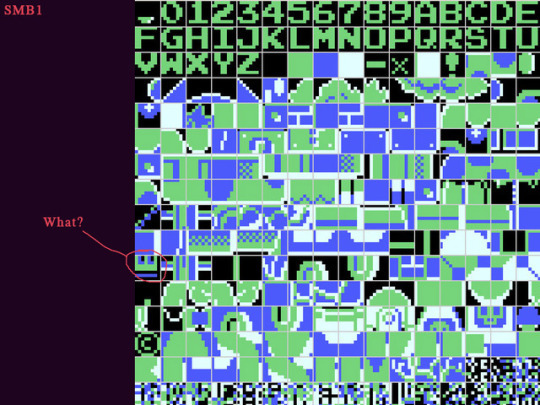 Smb is famous for not wasting graphics and code, so I would guess that yes, something else was changed. You should probably check it through. Not to mention that if you get 20 lives it will probably show another garbage character. This would ideally be fixed in code, but there's not enough free space for this, so you'd have to remove some feature from the game or expand the rom. 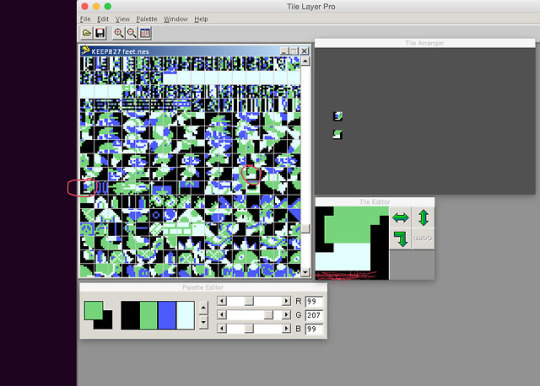 Time for Uncle Psyklax to get out the old debugger and explain what's going on. The routine that does this weird 'crown' thing is at $883C, and starts by loading the current amount of lives from $75A, then checking if it's more than ten. If not, no problem, just move on. But if it IS, then it loads $308 with 9F, and $309 with the lives minus ten. So let's say you have 12 lives left. $75A has 0B (because the game uses one less than the actual number). The routine will add one to make twelve (0C) and notice that it's higher than ten (0A), whereby it subtracts 0A from it, leaving 02. it stores that to $309, and stores $9F to $308. Thus, we'll see a 'crown' and 2, to mean 12. It would be simple to replace 9F with 01 (change $859 in the ROM), but then the palette is wrong on that tile. But also, what happens if you have over 19? You'll see a 'crown' with a letter. This, plus the differing palette, makes something very clear: this is no bug. Although your lives can obviously go up to 255 before running over to zero, there's no way you can see it on the screen. Doing so would require a longer routine that subtracts ten, checks, subtracts ten, checks, and so on. Anyone why knows about SMB's inner workings is aware that there's next to no bytes left at all inside the ROM, so clearly the programmers decided "well, not many people are ever going to acquire more than nine lives anyway" (they obviously didn't know about the infinite shell kick thing) and did this quick and dirty routine as a compromise. Thank you! That's really helpful. It works great! And you're positive that it won't come with some nasty bugs? It always bothered me that Mario’s feet shows when he enters a sideway pipe (if there’s nothing else covering it up). I simply took out a small portion of his feet. Problem solved! Should work? 127, because SMB uses the sign bit to detect Game Over. The more famous bug (though probably only famous because of the infinite shell jump bug that can grant infinite lives). I don't know if SMAS fixed it but even then Nintendo themselves warned to not go over 100 lives to avoid it. If you just change those two bytes, nothing else should be affected. There's no logical reason why it should. Ah, I didn't know that. I just assumed. 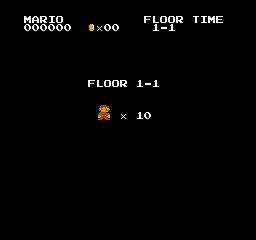 Still, it's interesting that the coins can display to 99, so you'd think they could borrow the routine for the lives counter, but whatever, I guess they figured this was easier since what, really, are the chances (sans shell trick) of getting over 9 lives? You'd have to both never die and also collect lots of coins and the secret 1-ups as well. Not many people would be able to do it. I thought it was confirmed that the shell trick wasn't intentional, so yes, getting more than nine lives in a single game seemed unlikely (as I think there was generally only one 1-Up per world and most were one-time spawns with a certain condition). I'm just going to dump this to you here- out of the bunch it contains a patch that changes the display of lives so that exceeding 9, it will be 10. It will correctly display the number of lives up to 99, in which it will proceed to A0, B0, and so on. 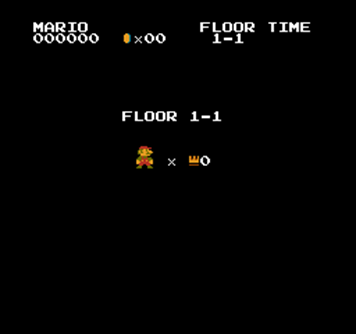 I believe every sprite and enemy has been coded in SMB so that the very last bottom pixels will be stuck on the first pixels of solid BG tiles. Thank you so much! What a awesome collection of patches. My hack already had ATA's scroll patch when I got it from w7n so I think that is messing things up with some of these (Black hole and Break Bricks wont work for example). Anyways adjust_remain works. So thanks again! Now I'm inspired to do some other hacks with that Break Brick β! Hey, about that infinite lives trick, I heard that the developers intentionally put that there because it only works with that certain background of the level and it was mentioned in some gaming magazines supported by Nintendo. Would be much better if it was written down, so that anybody, who wants work with the source code could understand it. I really doubt it was intentional. Given that getting too many lives causes a Game Over, they'd have put a limit on it if they intended players to use. And given that even 10 lives causes a glitched counter, they probably were only intending players to get a few extra lives at most.